December is one of my favorite times of the year to travel. I think the reason is because my son and I have post-Christmas birthdays, and nothing makes me merrier than a little travel “pick-me-up” as I get a year older and wiser. 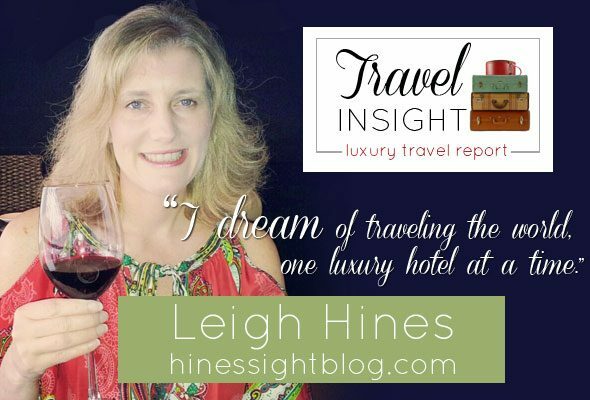 I firmly believe that a luxury hotel check-in makes birthdays that much more special for those of us who have birthdays the week after Christmas. 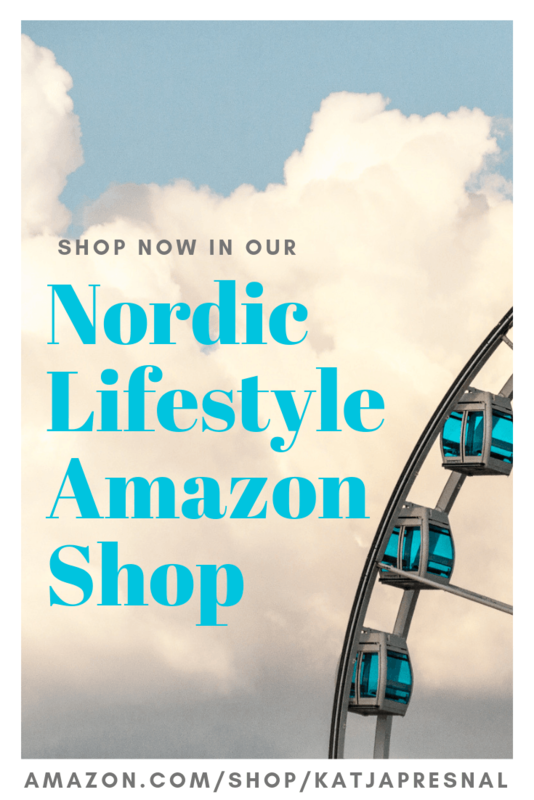 This year, I wanted to get away from the daily hustle and bustle of the season, and focus entirely on family fun in a new city before Christmas. Little did I know that when I planned this trip that my focus on my family would be so important, as Katja reminded us this week in her Live A Little series. Having a child the same age as most of the victims in Newtown, we felt even more blessed that we could have this special time together. 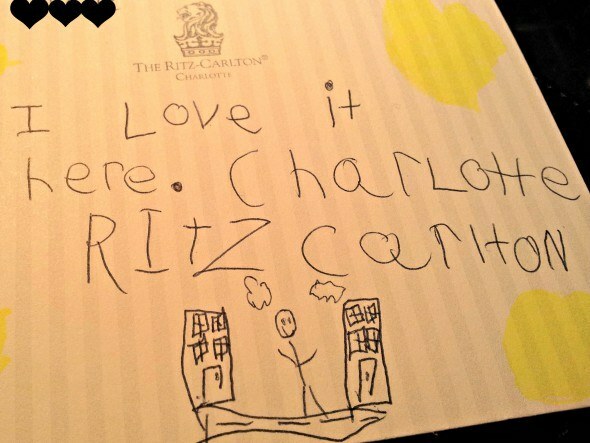 The Ritz-Carlton in Charlotte enabled us to live every minute to the fullest as a family. Located approximately three hours from our hometown of Raleigh, Charlotte is North Carolina’s largest city. Charlotte’s uptown is filled with busy sidewalks adjacent to large skyscrapers. The Ritz-Carlton resides in the heart of uptown, and it gives guests the feeling of celebrating the holidays in an urban setting, even down to its lobby holiday tree. Imagine my children’s surprise when they entered our room on the 12th floor and saw delicious sweet treats as a welcome gift from Bar Cocoa, a scrumptious dessert and chocolate bar located in the hotel lobby. Christmas and dessert definitely came early for the Hines on this trip. 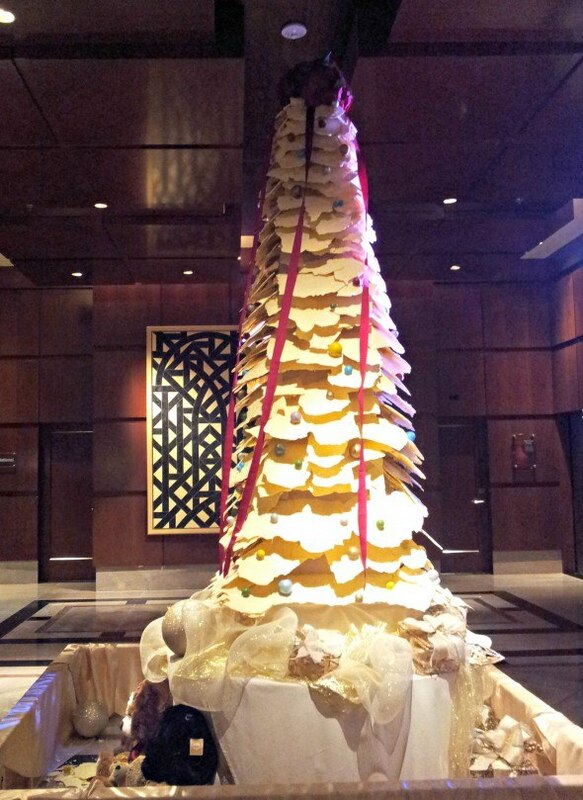 The Ritz-Carlton Charlotte is known for its decadent Bar Cocoa, but this is the first year that the culinary team produced a white chocolate holiday tree to greet guests as soon as they enter the hotel. It’s remarkable! The eight-foot tree consists of 600 pounds of organic white chocolate, 25 pounds of milk chocolate, and 70 chocolate ornaments. The tree is exquisite. It took the Ritz-Carlton culinary and engineering team 250 hours to create and assemble it. After a lazy Sunday morning of sleeping in, cuddling, eating a delicious brunch in the Lobby Lounge, and watching the Leonard Bearstein Orchestra in Charlotte’s Founder’s Hall, we indulged in the hotel’s signature chocolate afternoon tea. 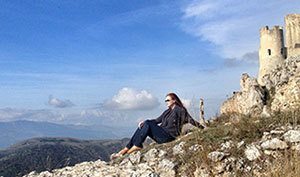 We did not have a jam-packed itinerary on this trip because that is now how this family lives to the fullest. We take things slow and enjoy every moment, even if we don’t get to see much. For us, it’s all about creating experiences and memories. 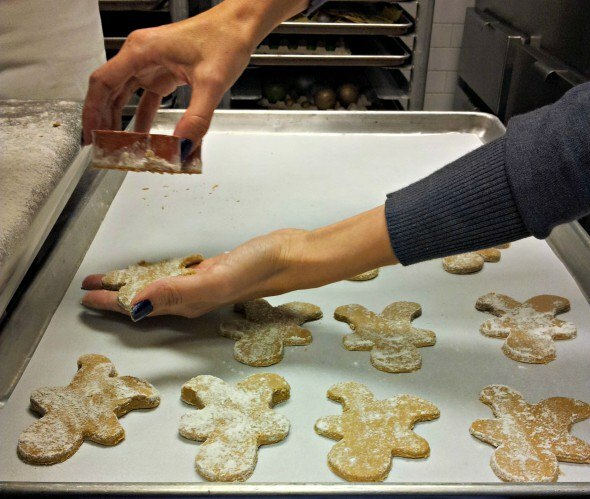 Bar Cocoa offers gourmet cooking classes throughout the year, and while we were in town, the Cocoa lab offered an intense five-hour holiday baking class. Participants baked and decorated about five types of cookies for themselves or to give away as gifts. Before our tea reservation, my family went behind the scenes and saw some of the action in person. The participants told me that they learned so much from Bar Cocoa chefs and can’t wait to apply some of the techniques at home. I’m more of an eater than a baker, and my trip to the kitchen made me hungry for cookies at afternoon tea. My children are learning to enjoy afternoon tea as much as I do. 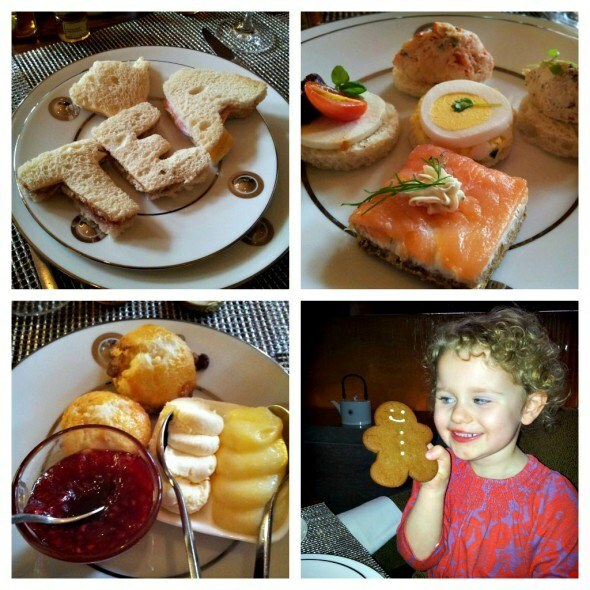 The afternoon tea at Bar Cocoa is a special, decadent adventure for both children and adults. The children’s menu is absolutely delightful, and after seeing a bunch of gingerbread men in the Bar Cocoa lab, it was fun for my daughter actually to catch one for a bite. I loved every taste and sip of the Bar Cocoa tea, but I always have my favorite dishes. I’m more of a traditional tea gal over sweets, so I loved the tea sandwiches, especially the smoked salmon with dill cream cheese. The scones with Devonshire cream and house preserves had me begging for more. I was even adventurous this holiday season and changed things up a bit with my tea selection. I forwent my usual black tea and tried the mango tea. It was a great choice for the occasion. This was my first time staying in a Ritz-Carlton with children in tow. 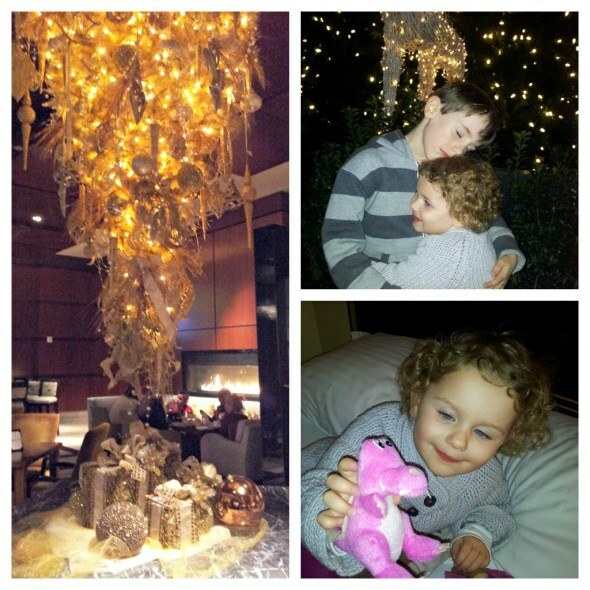 A Ritz-Carlton certainly knows how to create special family memories for the littlest guest. When we returned to our room that evening, the hotel arranged my children’s luvies so they would be ready for bed, and, surprisingly, left special new friends, too. 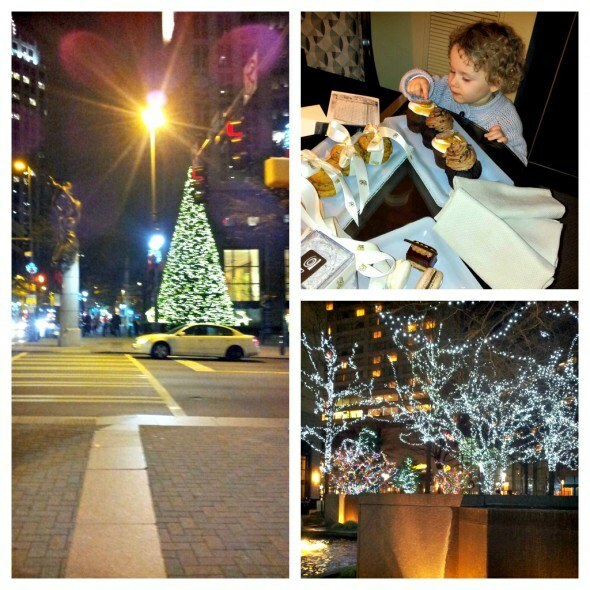 This December trip was truly special, and spending our time at the Ritz-Carlton made it even more so, in my opinion. I’m quite happy to know that my son thinks so, too. I’m already dreaming about my next Ritz-Carlton destination. If you’re visiting North Carolina, Bar Cocoa’s contemporary take on afternoon tea is presented seven days a week from 11 a.m. to 3 p.m. This uniquely modern tea is priced at $32 per adult ($12 per child under 12) and includes valet parking. Visit Ritz-Carlton Charlotte for information on room rates and other special activities. I certainly think a visit to the Ritz may become a Hines Holiday Tradition. From my family to yours, Merry Christmas! 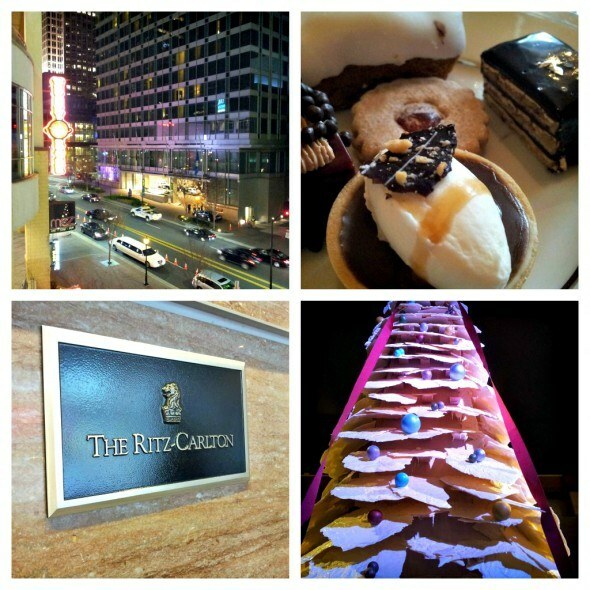 Disclosure: I was a guest of the Ritz-Carlton Charlotte as part of a press trip. My family did have some out-of-pocket expenses while staying at the hotel. As always, my opinions are my own. Looks like such a wonderful place to spend some family time during the holidays! I love that giant white chocolate tree. So majestic and elegant looking. Adrienne, it was wonderful. The tree is so impressive. 250 hours of very hard work to put it together. I am not much of a baker, but those classes sound like so much fun. And I would love to be able to make gingerbread cookie that cute. What delicious time you had!